Zazen seated meditation is a form of training in Zen Buddhism. But in recent years, sessions are attracting both Japanese and foreign tourists seeking to cleanse the spirit. Come and experience Japanese ZEN culture with Kiyohiko Shimazu, who entered the Buddhist priesthood at 曹洞宗高雲山観音寺. We welcome beginners and experienced practitioners regardless of nationality, faith, or religious sect.Try your hand at morning zazen and purify mind and body. Zazen is practiced in Zen Buddhism. Arrive in loose-fitting clothing and remove socks, watch, and any accessories before taking a seat. Please register on peatix event page. Kiyohiko Shimazu is the CEO of SHIMARS Co., Ltd., ahuman resources, organizational development, and management consultation firm in Tokyo, Japan. 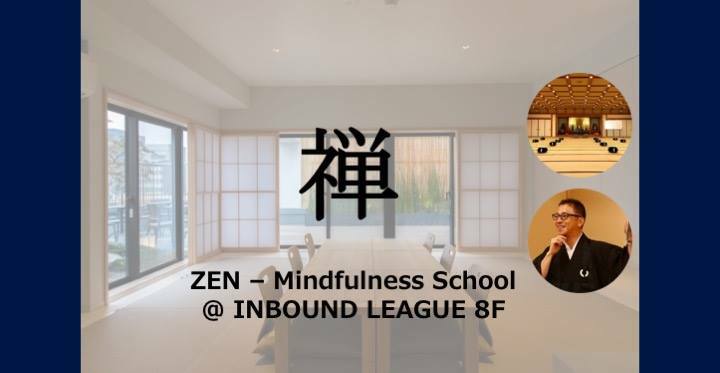 Since 2012,when he entered the Buddhist priesthood and became a Buddhist monk, Kiyohiko Shimazu has based his coaching methods, corporate training programs, lectures and speeches at the company on the principles of Zen. His Zenbased programs have been supported by various clients, including private companies, educational institutions, and public offices. -Apr. 2012: Founder / CEO of SHIMARS co., ltd.
※1 Do not invite any type of business, other events, or religion without permission of staffs. ※2 We reserve the right to refuse any participants in our related events who do not keep to the rules, morals and manners. ※3 We can not guarantee any damage, loss, or trouble in those events. ※4 Please agree to allow pictures and videos of participants taken during the tour to be posted on our homepage, Facebook, and any advertising documents. ※5 We will not disclose Personal Information to third parties without the consent of our customers. ※6 After reservation , we can’t accept basically cancellation according to your circumstances. ※7 Only 15 guests will be able to participate. Registration is on first come first served basis. We beg your kindness. We are travel agency in Japan. We commit to connect regions and the world by offering opportunities for travelers to interact with locals. The concepts of our tours are feeling and experiencing a quintessence of locals that has long been blossomed and remain in the region.